We did it. We made hand pulled noodles. Sure we may have watched this video (featuring Martha Stewart and Mission Chinese Food’s Danny Bowien) a few times but like most new ventures we take in the kitchen it wasn’t that hard and it sure turned out swell! A few weeks back we were introduced to the most amazing noodle dish at a tiny take out spot in the lower east side of Manhattan – Xi’an Famous Foods (thanks Joe & McKenna!). We literally couldn’t stop thinking about it. We sent each other late night texts and emails “Wanna go get some noodles…?”, we were out of control. So we decided that we absolutely must recreate the recipe, and oh boy we did. 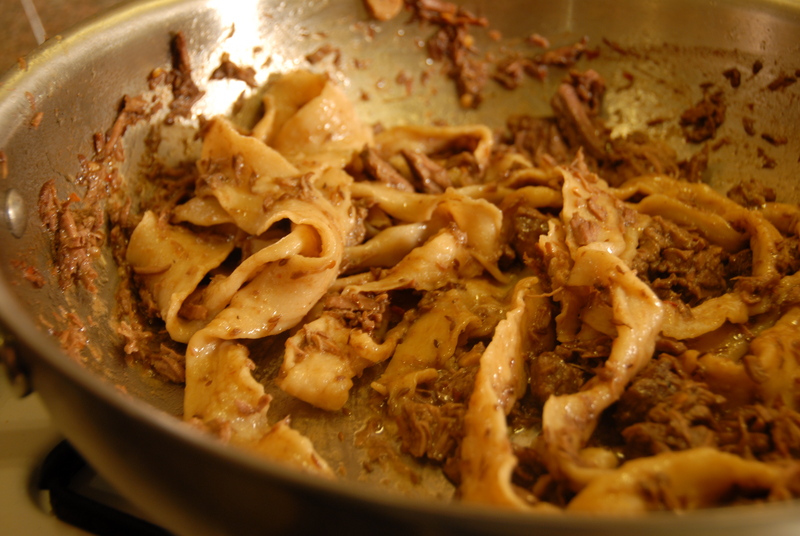 Ladies and gentlemen, prepare yourselves for one of the best T2K recipes yet: Spicy Cumin Lamb with Hand Pulled Noodles. Thoroughly sear the meat in a hot pan with a little bit of oil in it. 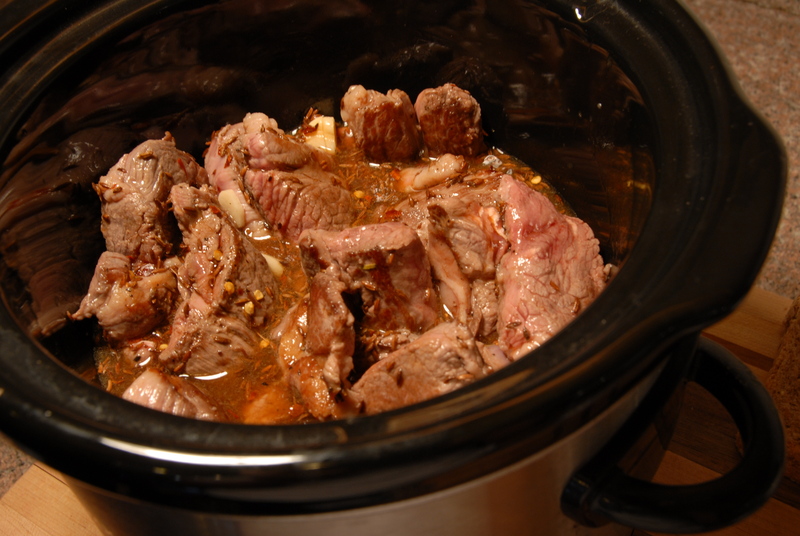 Then toss the meat, along with the remaining ingredients into a slow cooker and cook on high for 2-3 hours (depending on how much time you have on your hands (if you don’t have a slow cooker you can use a dutch oven in a 300 F oven). Easy peasy! *Note: it really makes a difference to toast the cumin seeds prior to cooking with them. Simply toast them in a dry saute pan over medium/high heat until they become fragrant. 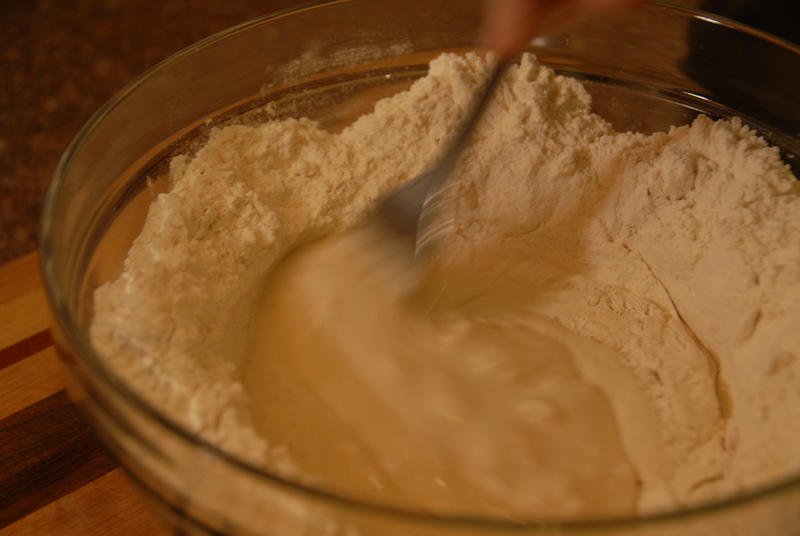 [The video we mentioned is VERY helpful in the noodle making process] Combine the flour and salt in a large bowl, then create a well in the middle. Pour all of the water in and slowly mix with chopsticks or a fork until an even dough forms. 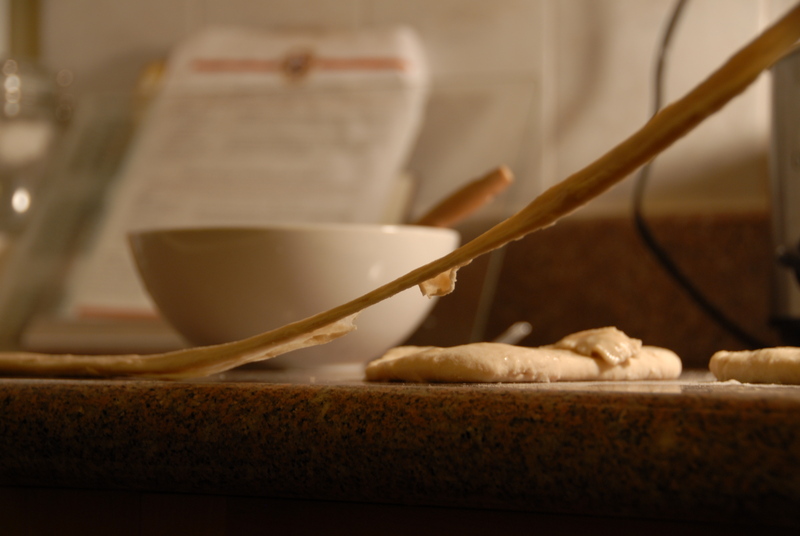 Use a splash more water if your dough seems too dry, but it should certainly not be super sticky. Cover the bowl with plastic wrap and let the dough rest for 5 minutes. Knead the dough by rolling it into a log, doubling it over, rolling it into a log again, repeating a few times. It will be tough, keep rolling! Roll to about shoulders width each time before doubling it over. Knead the dough into a ball and let it rest, covered, for 15 minutes. 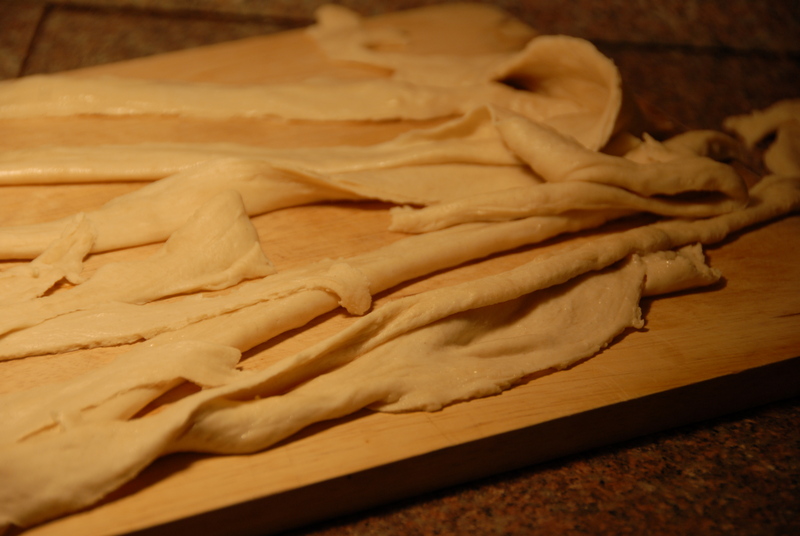 Cut the dough into 6 even pieces, roll each into a short log, and flatten out into a long rectangle pressing with your fingertips. 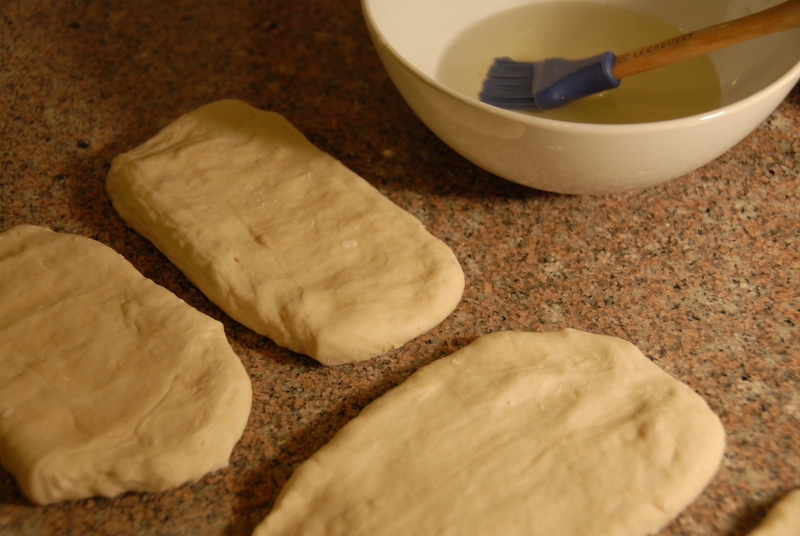 Brush each piece of dough with a little vegetable oil, then one at a time, stretch the dough pieces out, smacking them against your counter or table to assist in the stretching process. The dough should start to naturally tear though the center of the pulled noodle — when this happens, pull the two halves of noodle apart, and voila! HAND PULLED NOODLES! Continue pulling all noodles in this fashion. 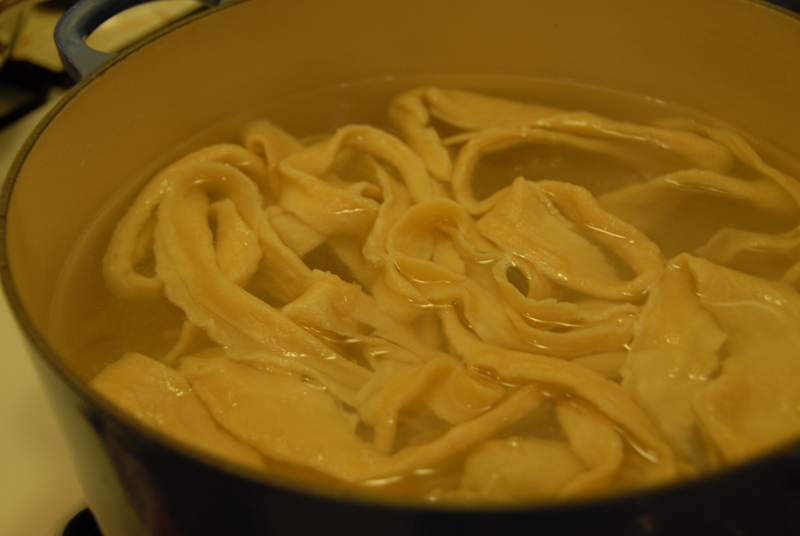 Toss the noodles (in batches) into a boiling pot of salted water, and cook until they float to the top. We had taken the lamb out of the delicious sauce at this point, and reduced the sauce a bit on the stove over high heat in a large pan. Be sure to taste it at this point so not to let it get too salty. 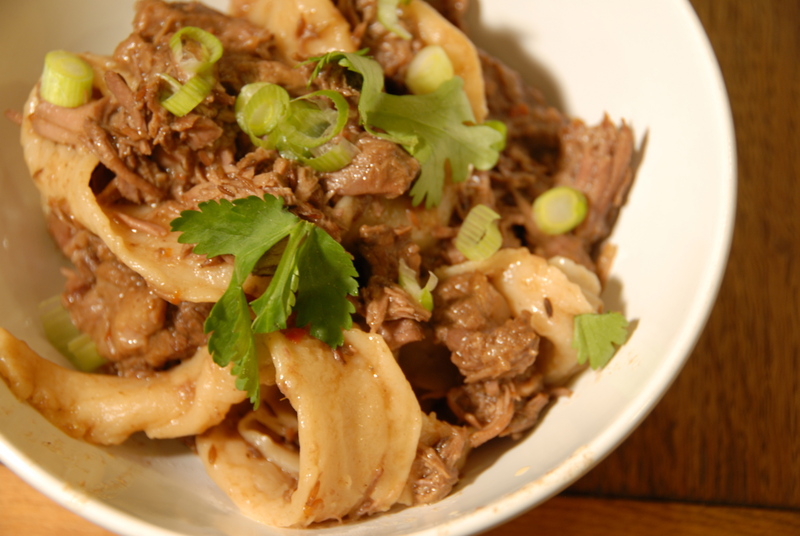 Toss the lamb, noodles, and sauce together, and top with fresh scallions, chopped cilantro, and a squeeze of lime. Oh boy. The 2 kitchens agree that this was up there with the most amazing meals we have ever created. Don’t be scared, you can make it too! This entry was posted in Noodles and tagged cilantro, cumin, danny bowien, hand pulled noodles, lamb, Martha Stewart, noodles, slow cooker, xi'an famous foods. Bookmark the permalink. Thank you for this recipe. It was phenomenal. Just like Xi’an Famous foods. I just made the lamb, not the noodles, and had it with rice. I added more cumin, about 3 x’s as much. You are right, toasting the cumin is the key. It gives it a nice, roasted flavor. Great job replicating a wonderful dish!